A new videogame allows players to conjure up their own design ideas and create playable content that can be uploaded and shared. 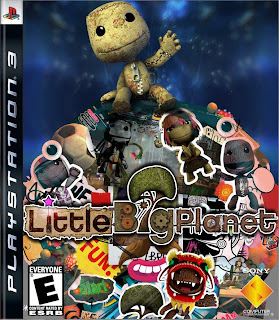 And gamers can do it from the privacy of their own home with Sony Computer Entertainment America's LittleBigPlanet. With LittleBigPlanet, if you think it, you can make it. The game is a collection of intuitive tools that allow players to customize everything from their characters to the levels of game play they'll be challenged with. LittleBigPlanet will have a huge online component, including team-based multiplayer options for designing levels together, as well as an active community with user feedback on created levels. Media Molecule will continue to support LittleBigPlanet with additional downloadable content moving forward.